This video tutorial covers the basics of outlines and how they relate to SophieSew Version 2. It starts with a basic introduction on what outlines are, followed by a brief demonstration on how to create, shape, edit and delete them. It also introduces you to some of their global properties as accessed through SophieSew’s property inspector. Click on the video to view. 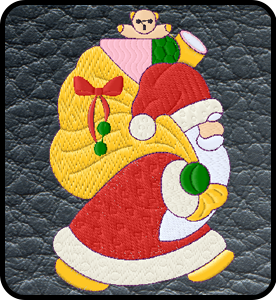 This next tutorial demonstrates the power of SophieSew Version 2 by showing how you can take a simple image an very quickly and simply digitize it into a quilting design. It shows you how to create and edit outlines on an individual level as well introducing you to the concept of grouping multiple outline together into an embroidery object. 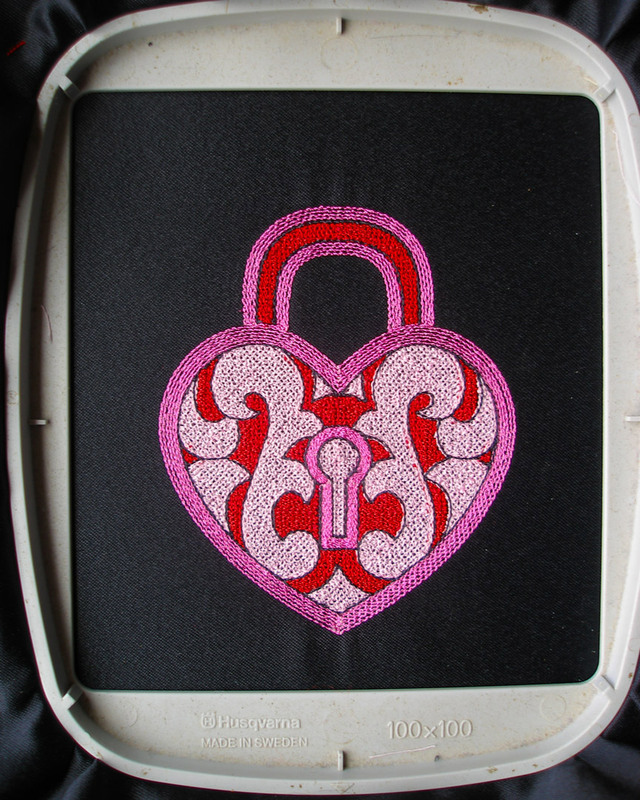 Finally It shows you how to use some of the higher embroidery object functions to assemble your final design. Click on the video to view. I hope you enjoy these videos and thanks for watching. 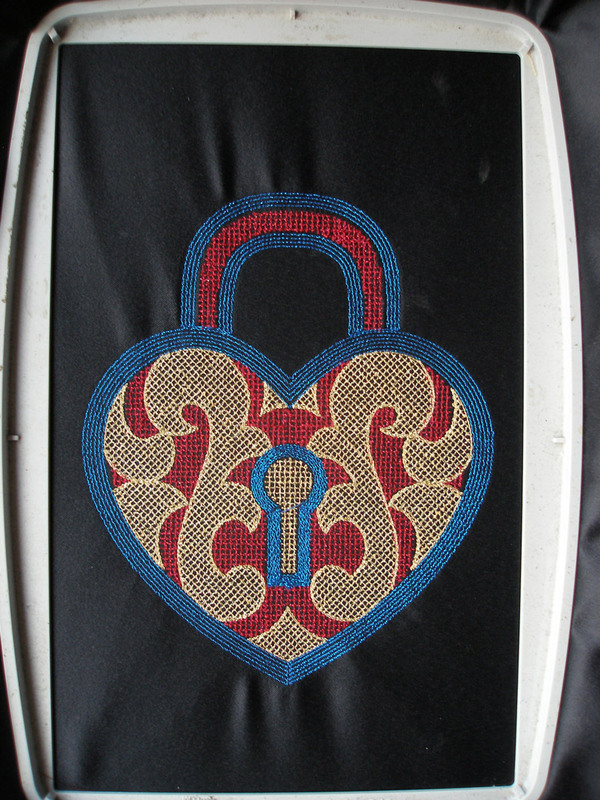 I have two new heart shaped locket Showcase Designs ready for you to download. 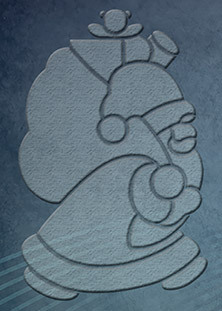 They have been digitized using the up and coming new version of SophieSew. 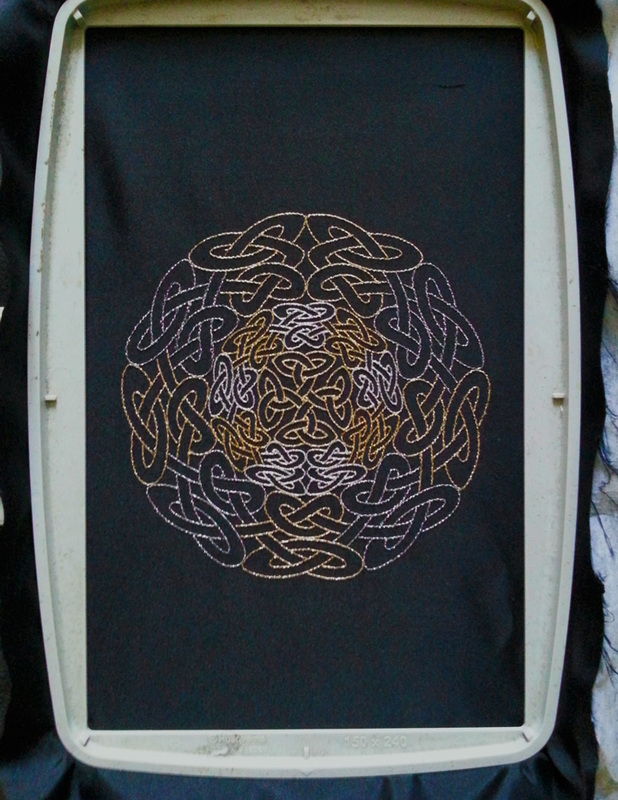 I have two new Celtic ring Showcase Designs ready for you to download. They have been digitized using the up and coming new version of SophieSew. 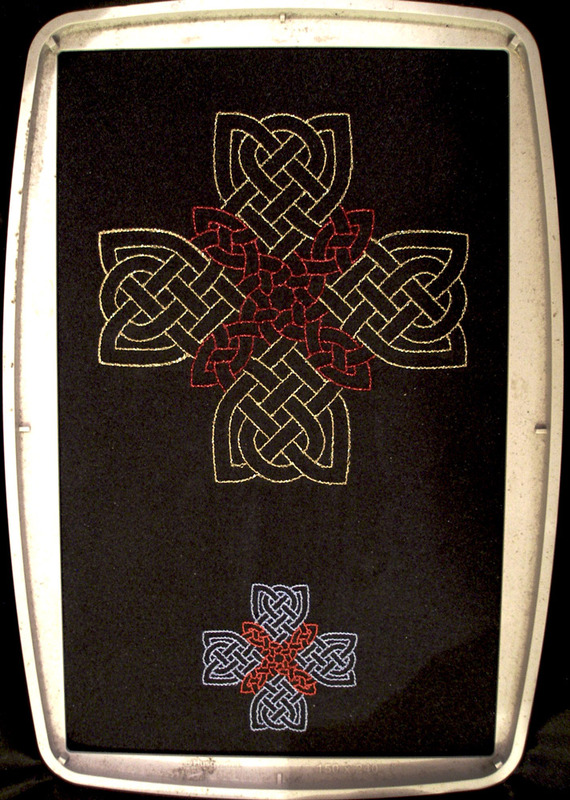 I have just released this new Celtic cross design digitized using SophieSew Version 2 and it comes in three sizes. Please click on this Celtic Cross 1 link for more information and download options… It’s Free ! What is a mural ? My Mural is a big web page that I hope will capture SophieSew’s development progress from concept to final product by highlighting creative features and flow. It’s a visual plan of my SophieSew project to date. Please note that you will need to have an html 5 compliant browser to view the content ! You can also follow progress and leave comments via my Facebook page catchingly entitled SophieSew Embroidery Software. Here you can browse a wide range of topics regarding the development of SophieSew’s new software embroidery design package and web pages. Just updated my old, tired website and replaced it with this brand spanking new one. Its based around a WordPress blog with a custom theme ( hypax ) by themeforest. 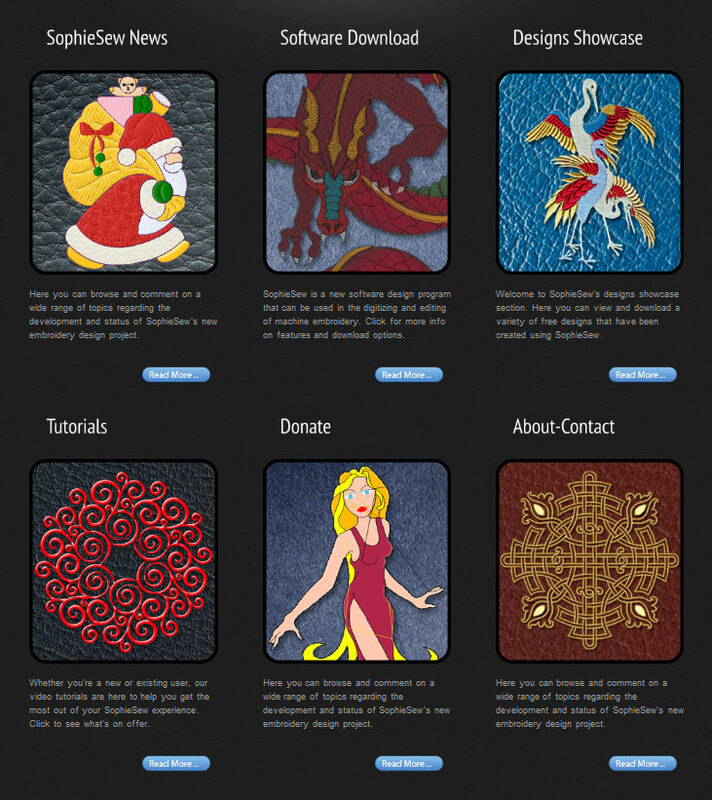 Took a while to build the page structure and graphics but its now much easier for me to add and update new content. The designs are a bit sparse and there’s no new software available yet but it is coming. Thanks everyone and keep reading ! Released my first video tutorial for SophieSew version two via YouTube ( 31st Aug 2012 ). It covers the basics of how to import and customize an image prior to digitizing an actual design. It will also give you an idea of how the new version will look and feel. Click on the video to view. Hope you enjoy it and thanks for watching. Ok … As this is my first blog entry I might as well start with a brief introduction about me and what I want to achieve .. so here goes. My name is John Coldwell ( aka Carlos Mandell ) and I’ve been developing embroidery design software in the guise of SophieSew for possibly ten years now. In this time I’ve learned a great deal about programming and programming languages as well as hopefully picking up some basic embroidey skills along the way. So why am I developing SophieSew. Well put simply, I enjoy programming and I love creating embroidery. Combining the two together has culminated in SophieSew Version 1 and the almost ready for beta release of SophieSew Version 2.
Who Is SophieSew aimed at ? 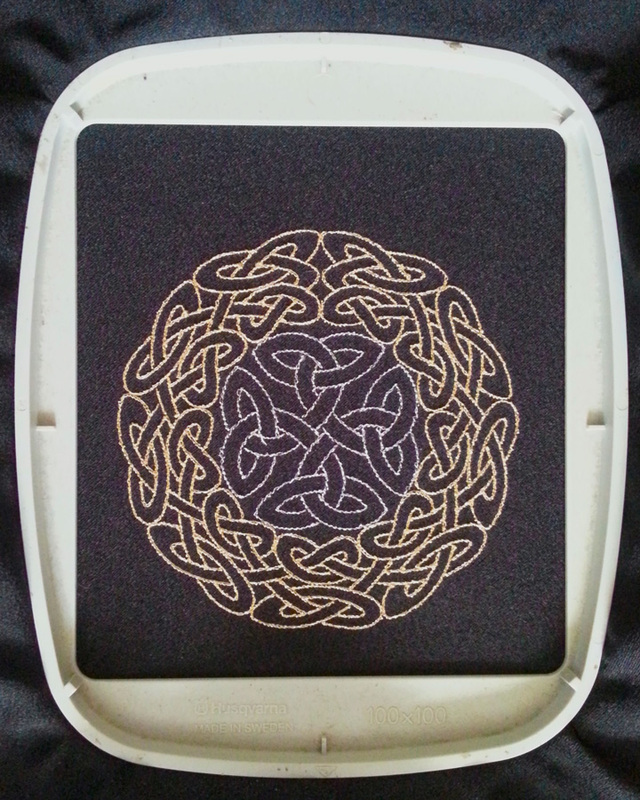 Anyone that likes to design their own machine embroidery for home or commercial use. Will this software cost lots of money ? No… I will initially launch SophieSew in a series of beta’s culminating in a lite version that will remain free to use. At some point in the future I hope to release a Pro version which you can purchase for a modest amount. What will be in the first release. OK this is a difficult question. Definitely outlines and running stitches. Probably zigzag, tatami and satin column stitches and possibly short stitching ( required for the sharp cornering when digitizing text lettering ). When will this be ? Cannot give an exact date. But It will be soon. I have a YouTube channel under the name John Coldwell that has my current Version 2 tutorials to date. I have a few more to add and I’m debugging the software as I go. View these and you’l see the software is at an advanced stage. Ok so to recap then … With this blog then I hope to document the continuing up’s and down’s of the odessy that is SophieSew. Please feel free to use the comments section to ask any questions. I will envevour to answer as many as I can.